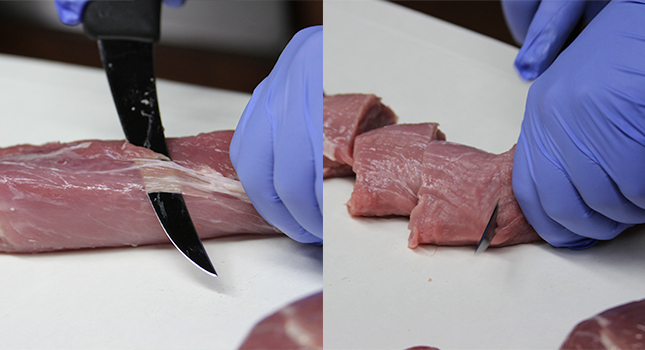 Take a good boning knife (Victorinox 6" boning knife) and trim the excess fat from the tenderloin. 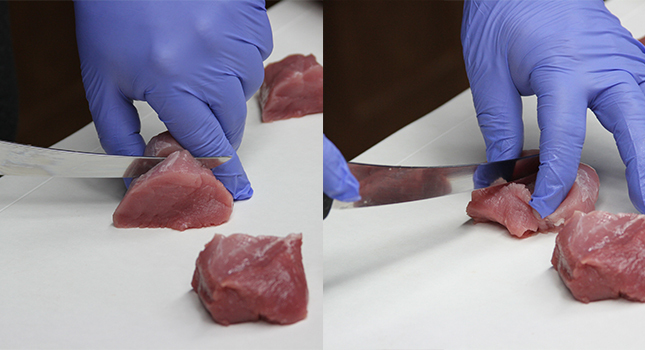 Take your knife and slice the tenderloin into 2 1/2" wide pieces. You can expect 6 - 8 pieces depending on tenderloin size. Butterfly the medallion by making a cut 3/4 the way down the center of the medallion. Make two incisions at each corner to allow the medallion to lay flat. 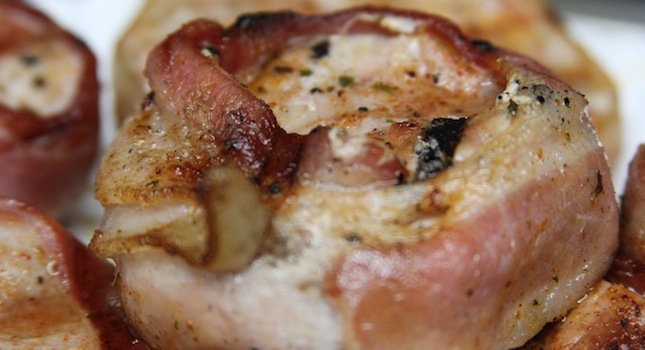 Wrap a thin piece of bacon around the outside of the medallion. 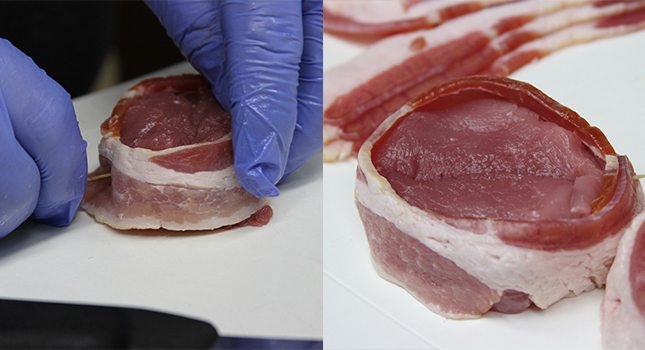 Secure the bacon with two toothpicks and trim the excess bacon. Step 4: Apply Cattleman's Grill Steakhouse Seasoning liberally to the medallions. 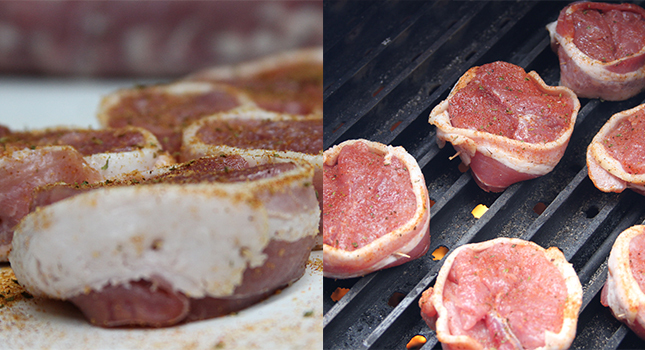 Let the medallions rest for 15 - 20 minutes to allow the seasoning to penetrate the meat. Place the medallions on your grill (Yoder Smokers YS640 set up in direct grill mode pictured) that has been preheated to 325°. Cook the medallions to an internal temperature of 140° (use the Maverick PT-100 thermometer for fast and accurate temperature readings). Pull and let rest for 5 - 10 minutes before serving. The Best Accessories to Turn Your Weber Kettle Into a Versatile Cooking Machine!